Finally, we got to see Jerry doing actual cop stuff. And Duke was even brought out of the background to the forefront of the action on Hawaii Five-0 Season 8 Episode 22. Jerry has had his badge for half the season now. But everyone is getting into the action more than him, excepting maybe Noelani and Eric. 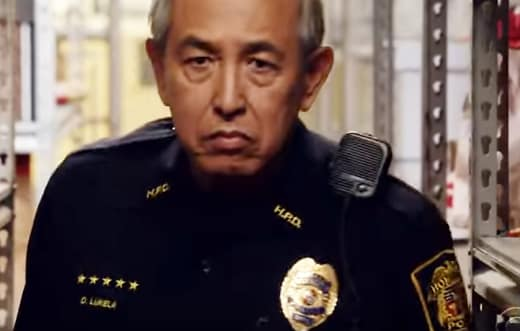 They're meant to be support staff, not full-fledged members of Five-0. 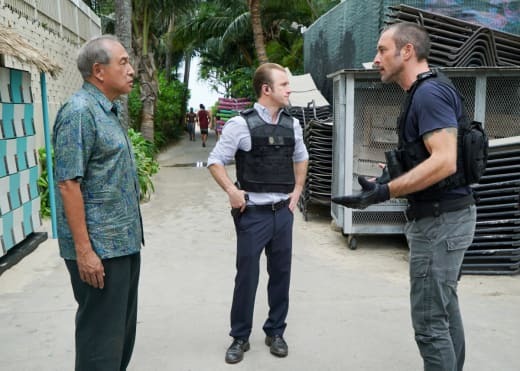 Even the newbies, Tani and Junior, are getting more front-line time than Jerry, who has been connected to the task force, at least unofficially, since Hawaii Five-0 Season 4. Granted, Jerry has his niches. Want some computer task done, especially now that Kono is gone? Call Jerry. Need a weird conspiracy theory at which the rest of the squad can roll their eyes? Call Jerry. Is it time for some comic relief, even better than Danny has to offer? It's Jerry's turn again. This time out, however, Jerry got to go undercover. Granted, he got the assignment by volunteering while Tani and Junior were trying to get out of it, but he finally got out of The Palace to do some real police work. I got a laugh out of his choosing the identity Hector for his undercover role as an orderly, a nod to Jorge Garcia's first co-starring role as Hector Lopez on the CBS sitcom Becker. Jerry threw himself into his undercover role and seemed right at home as an orderly, dispensing meds to the patients. He was a little out of his depth dealing with patients such as the one who attacked him. 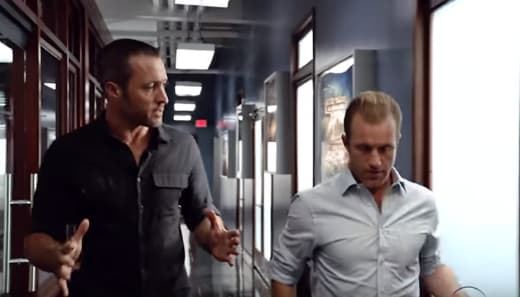 It was a good thing that McGarrett was there with a pep talk to get him back on track. Steve told Jerry to get creative to get into the wing where he needed to be to investigate the patient's death. That's one thing you can depend on Jerry to be is creative. Like any good detective, Jerry believably followed the clues to discover that the dead patient had stumbled onto something that he shouldn't have -- that there was a fugitive hidden among the patients at the facility. I figured Jerry would have already known how to pick a lock, but then it wouldn't have been as funny as having him learn how from a YouTube video. It stretched credulity to have the fugitive's accomplice catch Jerry in the act of rifling through patient records. But if that hadn't happened, then we wouldn't have gotten to enjoy Jerry incapacitating the two bad guys with a perfectly McGarrett maneuver. Why do the villains keep giving their hostage a two-ton weapon to drive? Hey, and maybe Jerry might get a chance at a relationship with that nurse Mila. He's entitled to a life outside the station as well. Also, Duke got his first time in the spotlight that I can remember throughout the show's eight seasons. It didn't take team members long to figure out something was amiss when Duke tased one of his fellow policemen, an act so out of character for the dependable veteran. It made sense to me that the only reason that Duke would do something so atypical is that a member of his family was getting threatened. What didn't make so much sense was first, how the kidnappers even knew about Duke and his family and second, how they knew about the money. I gather they must have been part of the same gang as the drug dealer who initially had the key. 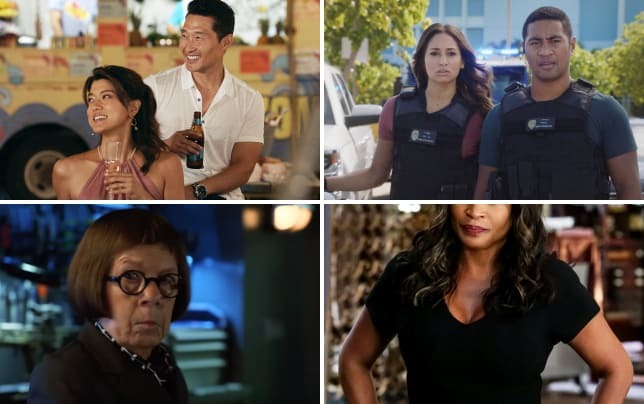 CBS Renewals: Which Major Show is Missing? Sometimes you have to roll with the irrational for the sake of the narrative. Having two groups connected to the dealer, his sleazy lawyer, and the kidnappers, after the same money was an interesting twist. Good thing Grover used his powers of persuasion to retrieve the money bag. I don't think Duke should be penalized too much because of the extenuating circumstances involved. I was glad that the Koa storyline got wrapped up this episode. It's been hanging since Hawaii Five-0 Season 8 Episode 14. It was heartwarming to see that Koa's hard work and Tani's support paid off. It seemed like a stretch to have a patient just coming out of rehab, especially such a young one, get thrust into a counselor role. At least this way, though, Tani's home life takes a turn toward stability. 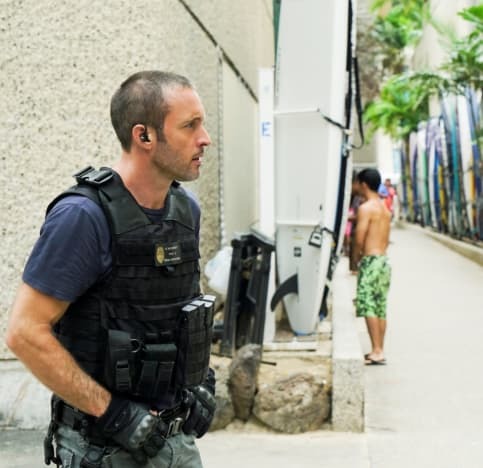 To catch up as the season winds down, watch Hawaii Five-0 online. Which storyline did you like best? Would you like to see Jerry get out of the office more often? Shouldn't Noelani or Eric get their shot? Comment below. [Duke] is a guy who would read a mosquito its rights rather than swat it. Permalink: is a guy who would read a mosquito its rights rather than swat it. Tani: You're going to make me cry. Koa: At least this time it's for a good reason. Permalink: At least this time it's for a good reason.